I put in silent bid. My bid was confirmed. I hope i win Joe hill signed comic. I am glad Joe chose to help Josh Medors. i don't think I won bid. I think i would have heard if I did by now. I found issues of Lock & Key at comic book store. They are not signed. Store was missing issue two though. 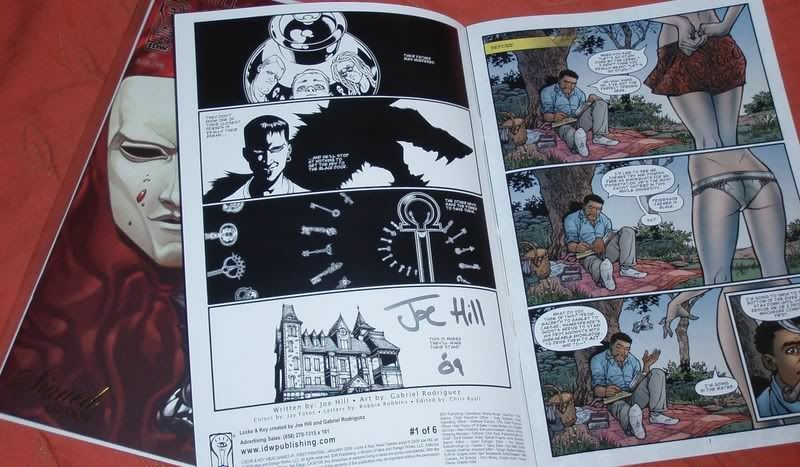 Allen wrote: I hope i win Joe hill signed comic. Just as a general note to folks, beware that there are counterfeit signed copies floating around. What makes this more difficult is the fact that the first issue did have 1:25 retailer incentive which was a signed copy of the comic. I wonder how Josh Medors is doing with his cancer. It was horrible to read that Michael Turner died from Cancer. I was not concerned about this auction having counterfeit Joe Hill book. Shane or Joe would have put stop to auction idea when I posted link. It was my understanding that the 1:25 variants all have a gold foil seal on the cover with "Signed Edition" in it and are dated by Mr. Hill as "2/4/08." Do you know if this is the case or are these the ones being conterfeited? I struck out on a rainy Wednesday to go to a local comic book shop and get me some locke and key's! I ended up buying issues 2-5 and they were signed. Hope they are authentic and someday I'll buy issue #1 and wait for an opportunity to get a signature from Joe at a signing. If the ones I bought are fake, the are at best still good for reading and I don't sell my treasures anyways. If it says signed edition under the issue #1 and has a sticker in the shape of a gold starburst saying signed edition w/ a sig it's a very good chance it's one of the actual signed 302 incentives from the first series. If the Head Games #1 says "signed edition" in gold foil on the bottom left of the book chances are it's one of the 482 signed ones. These books are very rare and very very limited. If you find one, it's a keeper. IMO. Perhaps a photo or two would help. Here you can see the gold stamp printed on the cover of the Signed Edition of Head Games #1. 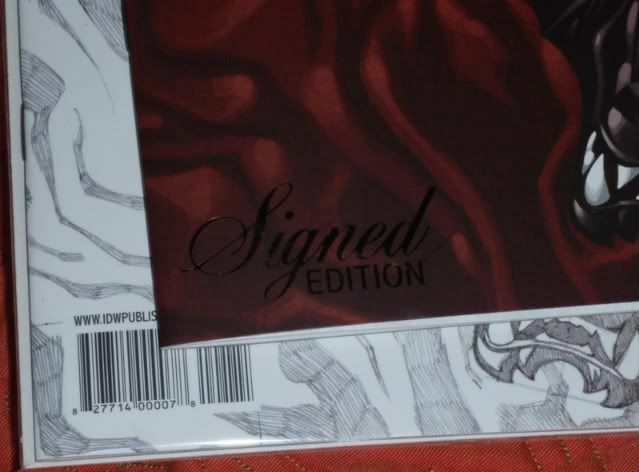 The actual signature is in silver on the inside of the front cover, as you can see here. ...and here's what a signed edition from the first series looks like, in NM/M condition, graded by CGC.